Artificial intelligence has catered to many technological advances and for us, we have utilized this self-learning database to improve the analytics within our security systems. This powerful upgrade gives our existing systems a highly effective ability to scan, detect and respond to any potential threat or danger. Every industry can benefit from this integration. These analytics differ from traditional technology due to its ability to constantly learn more and in turn become even more effective and knowledgeable. These are not static analytics. With every scan and use the system can incorporate more data and therefore output highly accurate information and reactions. There are many advantages to incorporating AI analytics into any security measure. With quicker, more consistent responses, fewer mistakes when monitoring and the ability to handle a higher volume of space and people, this is an upgrade with endless beneficial qualities. You can cut down the cost of higher extra security personnel when dealing with larger crowds or overnight shifts due to the analytics’ upscaled capabilities. This can help create an even stronger security team for your business. As a force multiplier, analytics AI is changing the security industry in some highly powerful ways. 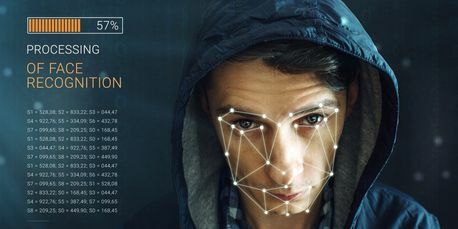 Whether you need to identify a customer at a bank, a suspicious person during a crowded concert or scan the license plate on a car entering through your perimeter gate, AI analytics can deliver a quick response with the utmost accuracy and evergrowing consistency. When using security personnel, these individuals may be in charge of securing hundreds of people across large areas. Although highly trained and capable, AI has a faster response to possible threat detection or concerns. For example, a person may start to experience eye fatigue from watching cameras for hours during an event. Analytic technology can look for the same potential threats over hundreds of cameras, for an infinite amount of time without missing a beat. All of these benefits of AI security systems lead to a major advantage and that is scalability. When you are hosting an event there is a notion to hire more security personnel, create a more extensive search at the entrance and constant monitoring of existing security cameras and other measures. However, by integration AI you have the ability to eliminate a vast majority of those extra factors. Analytics serves as a force multiplier. Meaning it can handle a larger scale of people, things, areas (etc) and can still deliver the information you need quickly and correctly. Now you only need one or two people to operate the security systems while the AI technology performs the rest of the legwork with fewer mistakes and at a higher volume. The immediate responsive ability of analytics is a powerful component and goes hand in hand with accuracy and consistency. Because analytics can handle a larger scale of data, the accuracy when identifying a threat is much higher in comparison to human ability. This is a huge advantage, especially when dealing with large crowds or areas. This technology is self-learning and self-improving. Instead of being static like traditional security systems, analytics continues to learn and grow its database. This alleviates hiccups in detections or missed threats and the technology gains more consistent traction the more it analyzes. AI Analytics have helped our security systems make huge strides in efficiency and effectiveness. By upgrading the existing analytic technology we are able to provide any business with unwavering security. Contact one of our expert security providers today to discuss integrating AI analytics into your business’s security system.